In very good condition however some shelf wear and bumps to edges of cover. Creasing to cover. and slight scuffs to edges of cover. Slight folding to corners. Fine. New and unread however light shelf wear to edges of cover, may have a crease to corner. I ordered this book for my daughter, she loves to read and seemed to enjoy this book also. 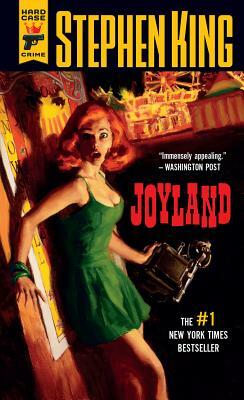 Stephen King's "Joyland" may not be what you might expect from him. This is a sometimes sweet coming of age story, losing one love and gaining another. There are elements of mystery and a bit of the macabre. I look forward to reading this one again.